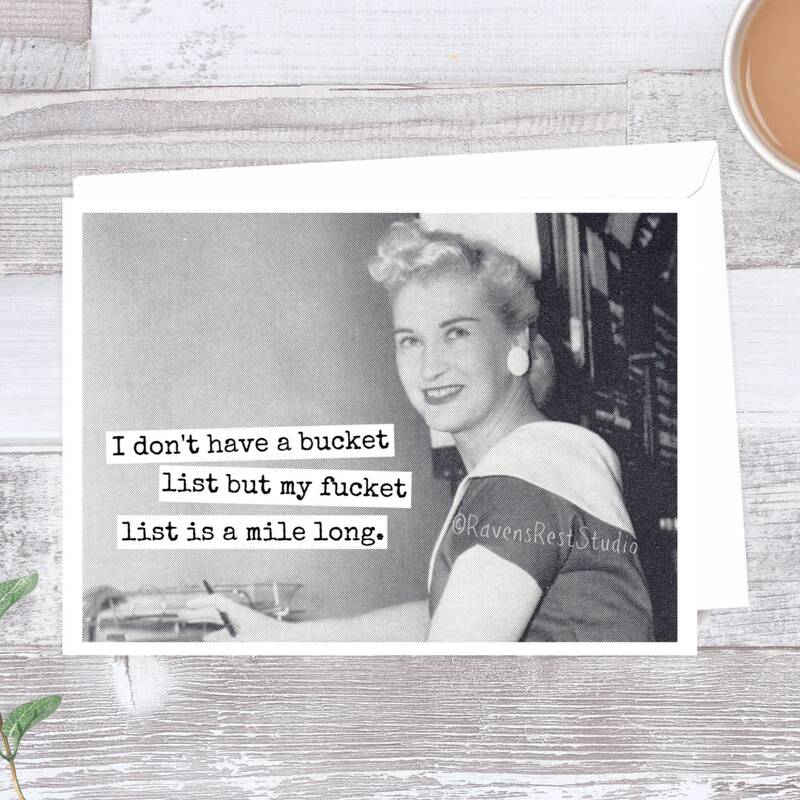 This card features a vintage woman at work and reads: "I don't have a bucket list but my fucket list is a mile long." ~watermark will not appear on card! 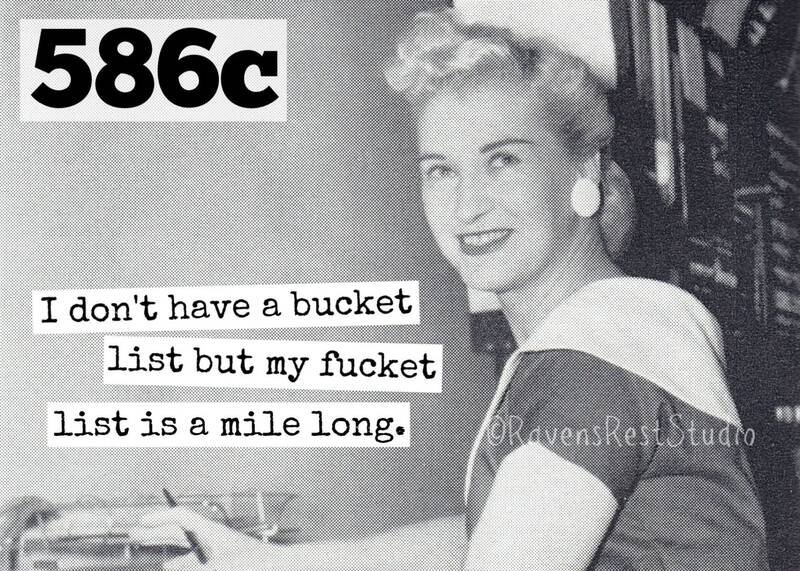 ©Jennifer Conway/RavensRestStudio, please do not copy.